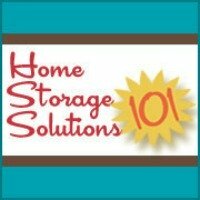 Want to know how to wash shower curtain in the washing machine? It is actually pretty simple and easy to do. But before I tell you how, you may want to know why you would want to clean a shower curtain in the first place. Don't you just love the look of your shower when you finally get around to putting that new shower curtain on? I know I do, because it means I have gotten rid of the old shower curtain with the nasty hardwater marks, soap scum, and the dreaded mold and mildew which seem to grow on the shower curtain no matter how hard you try to keep it clean. Well, you can get the same results, and save money by not having to buy a new one if you wash your shower curtain in the washing machine. Step 1: Put your dirty shower curtain in the washing machine, along with two fluffy towels. Step 2: Add warm water, a cap full of laundry detergent (enough for the size load you are doing), and an equal amount of baking soda, and let the washing machine run. Note: The towels will help scrub the grime off the shower curtain while it is agitating in the washing machine. Step 3: Add 1 cup of white vinegar to the rinse cycle. Note: The white vinegar does several helpful things to help wash the shower curtain, including helping to remove both soap scum and hard water spots, and also will help control the spread of mold and mildew. Step 4: Remove the clean shower curtain before the spin cycle, so the shower curtain does not get damaged. 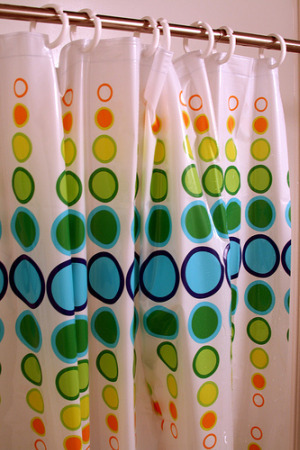 Step 5: Hang the shower curtain to drip dry, preferably right back into your shower. Note: It is best to clean your shower while also cleaning the shower curtain so that when you put it back there is no mold and mildew in the shower to "reinfect" the shower curtain.